This tiny text is really much more of a manual than a memoir geared toward middle and high school-aged students. Preston C. Northcraft uses his own experience with bipolar disorder as a template to offer up helpful tips on how to negotiate the world while dealing with the symptoms of his mood disorder. Honest, but lacking any true meat or bite, Growing Up Bipolar would be a good resource to add to the library of self-help books available for any young person struggling with the early onset of mental illness. 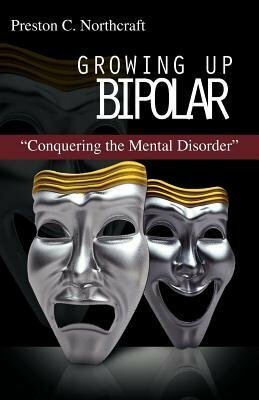 Set up in small chapters, Growing Up Bipolar does a fine job outlining some of the major symptoms of the disorder, the negative and positive aspects of living with a mental illness, social and family issues, psychiatric care, and the importance of proper medication and treatment. Only after a more appropriately thorough interview with his doctor was Mr. Northcraft given the proper diagnosis and treatment with a mood stabilizer. Although marred with typos and amazingly short, Growing Up Bipolar is a hopeful and encouraging little book. The author drives home the importance of self care without being preachy. He presents many useful coping skills. He emphasizes the positive influence and support he received from his family. And he brings to light the terrible guilt individuals suffering from bipolar disorder can inflict and endure.